Using our regular checkout system is fine when you are having us fulfill only a few orders a week but once you start having to deal with multiple orders and addresses on a daily basis this can become quite tedious. What if this is your situation: you list your artwork as framed prints on your personal website which uses Shopify as the shopping cart, as well as on Etsy, Amazon and Wayfair. Then, one morning you discover that you have 2 orders from your website, 3 orders from Etsy, 1 from Amazon, 1 from Wayfair. It sounds like a good problem to have, right? If FinerWorks is your print on demand service, you would need to send each one of these orders to us for fulfillment. It is not possible to create just one order since each one has a different destination, so you now need to spend the next 30 minutes of your day placing an order and checking out, placing an order and checking out. You must repeat this process until all 7 orders have been submitted. And tomorrow you must repeat this process if you are selling on a regular basis. Believe it or not there are quite a few FinerWorks users that are in this situation. Some place a couple orders a day while a few even have a dozen or more a day. With that in mind, we have a solution. 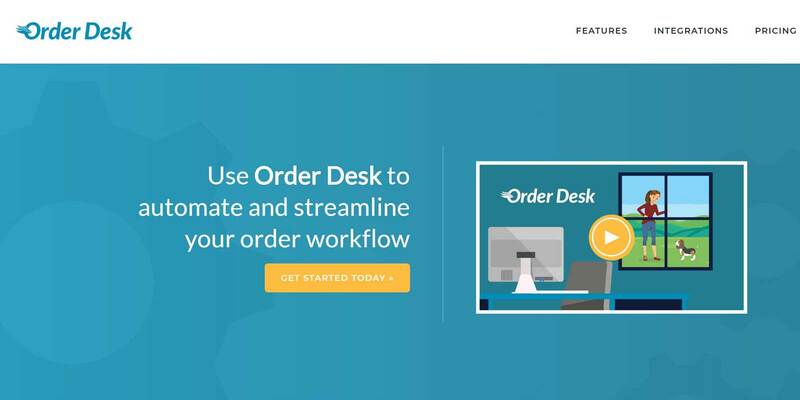 We are excited to be announcing our integration with Order Desk which is why we are now recommending it to all the people that have an online shop or selling in various online market places like Etsy, Ebay, and Amazon just to name a few. Many services like Etsy, Shopify and more allow you to build apps. But developing, maintaining and updating these requires a dedicated team of seasoned programmers. For this reason, we think Order Desk is the right solution since it connects to all these services with us. The way it works, Order Desk brings all these orders together into one central location enabling you to transmit all those orders to us in one batch! To give Order Desk a try, checkout their website. They offer a 30 day trial period (no credit card required) that you can use to give them a spin. Over $100/year just to send you orders?? And that is the lowest end of the app! You will have to guage if the time saved is worth the cost or not. For many it is well worth it considering the amount of time they would otherwise spend on submitting orders. We’re excited to partner with FinerWorks and happy to help anyone get set up! Is there a way to link Order Desk to my Wix website with a button maybe saying order prints here? Great question. Order Desk is a system to help you manage and transmit orders to us that you receive. It won’t let you setup “order” or “buy now” buttons like PayPal if I am understanding your question correctly. Unfortunately , don’t see a Wix integration yet for Order Desk. Hopefully they will be soon since we have had a few people inquire about it using Wix.